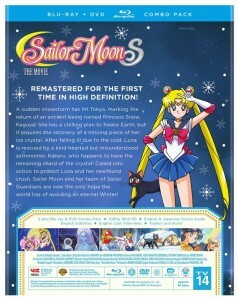 Following its recent theatrical release Sailor Moon S The Movie is coming to home video on October 2nd! Listings for the Blu-Ray/DVD Combo pack as well as just the DVD have shown up on the Viz web site, Right Stuf (Blu-Ray, DVD) and Amazon (Blu-Ray, DVD). MSRP for the combo set is a reasonable $29.99 with some sites selling it for a few dollars less. This is a good price for anyone who remembers spending more than twice that for coloured VHS tapes back in the day! The DVD is quite a bit cheaper but given the quality of the Blu-Ray this seems like it would be a poor choice for fans. Even if you don’t have a Blu-Ray player it’s worth the extra $10 to get the combo pack and have it for the future. If you’re planning on buying the set on Amazon you can support the site by using the links below. With the back of the packaging we get details of what’s included in this release though there isn’t much that’s surprising here. 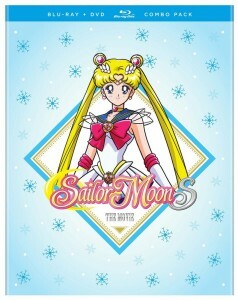 The technical specs say it’s 1080p and 16×9 aspect ratio which is the standard as Blu-Ray and what we saw with Sailor Moon R The Movie. This is also likely the same quality video for what fans saw in theatres. Though I didn’t get a chance to see Sailor Moon S The Movie theatrically I would say it’s likely the video quality was high. The master used for the Japanese movie release was of a very high quality and the Sailor Moon R The Movie Blu-Ray we got was comparable in quality. These are mastered from the original film source, not upscaled using software like the TV series releases, which means a very high level of detail in the image. Also mentioned are the English and Japanese audio for those wanting to see it in English or to experience the original film with subtitles. 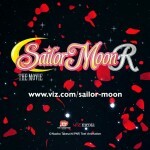 This is Viz’s new dub of the Sailor Moon S movie including the cast we previously reported on. This includes Chris Hackeny as Kakeru, the human Luna falls in love with, Claudia Lenz as Himeko, his love interest, and Melissa Fahn as Princess Snow Kaguya, the alien who’s trying to kill them and everyone else on Earth. Also included are interviews with that English cast, trailers and more. The statement “Remastered for the first time in high definite!~” conveniently ignores the recent Japanese release. 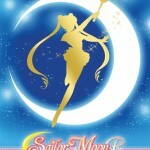 No mention at this time of when Sailor Moon SuperS: The Nine Sailor Guardians Unite! Miracle of the Black Dream Hole will be released on Blu-Ray along with the Ami’s First Love special though, given both were released in theatres within a week, it shouldn’t be too long. Do you plan on picking up this release? 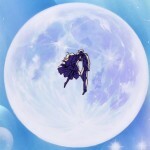 This entry was posted in Merchandise, Sailor Moon Anime (1992) and tagged Chris Hackney, Claudia Lenz, Himeko Nayotake, Kakeru Ohzora, Melissa Fahn, Princess Snow Kaguya, Sailor Moon S The Movie, Viz English Dub by Adam. Bookmark the permalink. I would really like to know if they plan on releasing a box set for all three movies (so they match the seasons) before I go buying all the movies individually. I kind if that’s what they were going to do since this one and the third one were shown in theaters do close together. Good question! The price of these is pretty good but if they bundled them I imagine it would be even cheaper. I recall the “Dream Box” for the original dub of the films having all three DVDs. I had already bought them individually so I never got it. The simple aesthetic sure does fit well with the TV series releases. With everyone hating on the R movie cover this might be more well received. I wish they’d gone with each other better. Not everyone hated it. I loved the R cover. I liked most of it, myself! Hopefully they will re-release R with a similar cover.I didn’t absolutely hate the cover for R…it wasn’t appealing as a bluray cover. What About the Super S Movie? Yeah, probably after SuperS part 2 is out. Probably after Stars part 1. 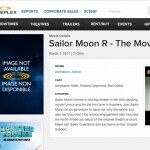 Well, the R movie was released after S part 1, even though it’s a R movie. 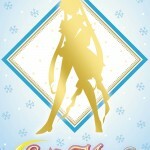 Oh ya and the S movie is being released after SuperS part 1. Just preordered mine! Haven’t preordered SuperS part 2 yet. Let me know if it becomes available on Amazon, please! omg best news of the day, glad its not taking very long after the very limited theatre release (1 weekend only) and it wasn’t even in my city to begin with, honestly the very simple look of the box is off putting to me personally especially after the wtf were they smoking for the R movie, preordered this and ready for this and super s part 2 not to mention the hopefully soon announcement of super s the movie, wonder how much longer we will have to wait to get a cast announcement for stars?? ?